Minnesotans burn wood at home for many reasons—heating, cooking, and recreation. Even though wood is "natural," we need to be careful about burning wood. Wood smoke is unhealthy, even at low levels. Wood smoke contains an abundance of chemicals, many of which are toxic and also found in tobacco smoke. Exposures to these chemicals can lead to both short and long term health effects. Protect everyone's health by following these recommendations. Minimize your exposure to smoke. Remember that burning wood can impact the health of your family and others around you. Smoke from wood fires in the city can reach many people. 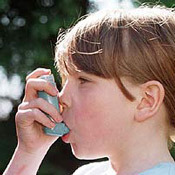 Exposure to wood smoke is especially harmful to family members or neighbors with respiratory problems, such as asthma, or cardiovascular disease. Always consider the number of people exposed and the direction of the wind. Even the air quality inside your home may be affected. Never burn wood during air pollution health alerts. Sign up to receive Air Pollution Health Alerts in text or email from the Minnesota Pollution Control Agency. Start each heating season by cleaning and inspecting indoor wood-burning appliances and chimneys. Look for air leakage, check for proper drafting, and remove the buildup of creosote. Creosote causes more smoke to enter your home and can catch fire. Burn only dry, seasoned wood. Dry wood—whether in a campfire or wood stove—releases far less smoke than fresh or wet wood. Buy a moisture meter and check the moisture content in your wood before using it. Only burn when moisture is 20% or less. 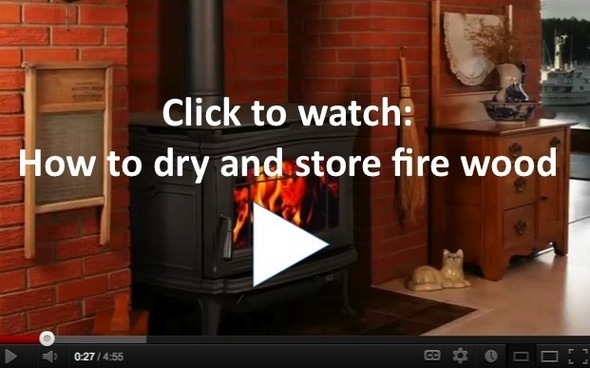 Purchase dry wood, or learn how to properly prepare your own dry wood. Watch the video below for more information. Download free woodshed plans (PDF) for storing dry wood. Never burn other materials. Anything other than dry fire wood—green wood, construction waste, paper, plastic, garbage, or yard waste—will create even more smoke and is often very toxic. Use only the most efficient appliances. More efficient, complete combustion produces less air pollution. If you already own a fireplace or wood stove, consider buying a natural gas fireplace insert, EPA-certified wood stove, or an appliance that meets Washington State requirements, which exceed EPA standards. An outdoor wood boiler can be replaced with a new, EPA-qualified outdoor wood-fired hydronic heater. Learn about your options before heating with wood. Consider things like your location (city or rural), access to fuel choices, cost, and environmental and health impacts. Natural gas is a cleaner fuel choice than wood in terms of the emissions of fine particles and many other air pollutants, such as carbon monoxide, formaldehyde, polycyclic aromatic hydrocarbons, and benzene. Though new EPA-certified wood stoves are cleaner than uncertified stoves or fireplaces, they still produce 100 times more harmful fine particle pollution than a gas furnace for the same amount of heat. Learn about your local laws. Many cities have adopted ordinances to restrict backyard recreational fires. If wood smoke is seen by your city to be a broad or ongoing problem, the city may be interested in adopting an ordinance that specifically addresses wood burning. Some cities in Minnesota have adopted ordinances addressing outdoor wood boilers. For examples and resources, visit the MPCA wood smoke webpage. Explore electric vehicles (EVs) by visiting with real EV owners at National Plug in Day. You'll be able to talk with EV owners who drive their cars every day, learn about charging options, and connections to renewable energy. There will be a dozen or more EV owners who will bring their vehicles to the event and share their experiences, September 23, 1-4 p.m., South lot of Como Pavilion by the charging stations and solar PV canopy (St. Paul). Get a snapshot of the health of the Mississippi River by attending the The State of the River Report Launch & Presentation, September 27, 4:30 p.m., Science Museum of Minnesota (St. Paul). The self-guided, public Minnesota Solar Tour features 50+ exemplary homes, businesses, and institutions that have incorporated renewable energy into the design and operation of their buildings, October 6, 10 a.m.-4 p.m. (statewide).